Avenue E. Mounier 5, 1200 Brüssel, Belgien. This modern 4-star hotel has 126 rooms all equipped with individual adjustable air-conditioning, television, personal safe, minibar, WIFI, direct telephone, trouser press and a fully equipped bathroom. Further the hotel offers a complete conference center with a capacity from 2 till 250 persons, an unique auditorium with 250 seats and 4 translation booths. All the 6 conference rooms have daylight and are equipped with the basic equipment. They can be used for a press conference, a staff meeting, a cocktail or wedding, as well as for any other private or business occasion. 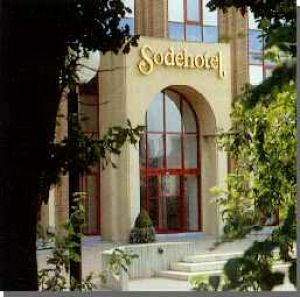 The hotel offers a free shuttle between the hotel and the airport as well as a spacious parking for hotelguests. 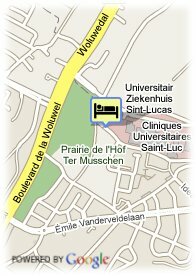 Metrostations Alma, Vandervelde and busline 42 are at walking distance from the hotel. in der Nähe der Universität, Autobahnnähe, Flughafennähe, in der Nähe der U-Bahn / Strassenbahn. Mehr als 1 Tage vor Anreise : keine Annulierungkosten. Weniger als 1 Tag(e) vor Anreise : 1 Nacht zu zahlen. Kinder weniger als 6 Jahr(e) alt: gratis. ältere Kinder und Erwachsene: 17.00 € pro zusätzliches Bett. Visa, Diners Club, Mastercard, American Express. Whether you are looking for a gastronomical meal, a light snack or a fresh cocktail, try our restaurant Leonard or our hotelbar. The Best Western Premier HNA Sodehotel La Woluwe is situated in the green surroundings of St. Lambrechts Woluwe, only 10 minutes from the international airport and citycenter of Brussels.